Each book listed has three “Buy Now” tags to be used depending where book is to be shipped. The only difference in the three are the shipping to each area. #1 is within the U.S. 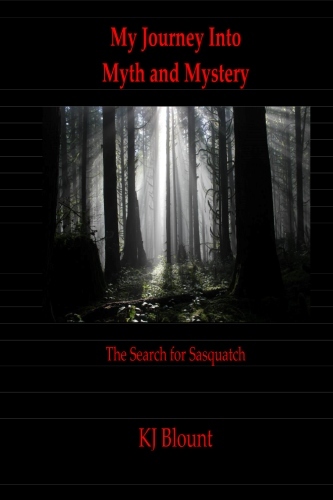 This is a novel written to tell the story of the sasquatch people. Everything written about them in this book was taken from personal observation and, in rare instances, from the encounters of people the author interviewed. 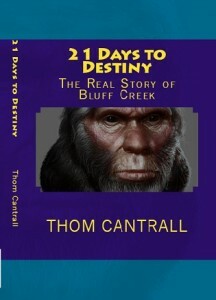 Thom chose to weave the truth about these people into a story that is not true, but interesting, timely and fun to read. Follow Ben, Rod and the people of Northern Idaho on a mission of intrigue, terror and anguish in one of the most beautiful settings in the world… The Pack River Country of Idaho. For Purchase of book anywhere other than U.S. or Canada, click above. The search for a new man is the compilation of actual encounters over the author’s decades of research. Also included are encounters by others who are well known to the author. 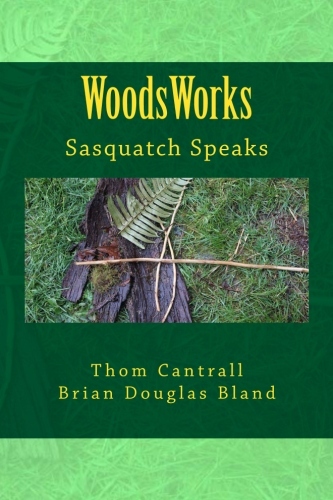 From Frank’s experiences with the sounds of a sasquatch in the predawn of a snowy January morning to Thom’s night spent in a hollow stump with three individuals around him, This volume will tell you a bit more about what this creature is. From hiding in a fruit tree to the aftermath of blasting by a reserve Army unit, see what happens with these wonderful beings. To Purchase this book for delivery in the U.S. Click above. To purchase this book for Delivery to Canada, click above. To purchase this book for delivery outside of the U.S. or Canada, click above. 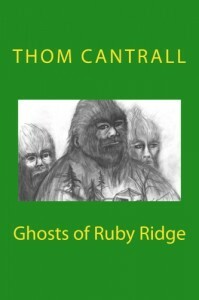 A novel of the earliest Mountain Men and their dealings with the indigenous peoples they found in the great western lands. Begin with the fantastic escape from death by the Legendary Hugh Glass and follow the exploits of this group of brave men as they learned the Indian Way and created some relationships that lasted throughout the western era… and others that did not. Meet the beautiful Shoshone Shaman who’s abilities to read what was to be astounded even her husband, the nephew of Hugh Glass. This is an historical novel. Many of the people in it are real… others are not, but should be. It tells a story of events that most of us cannot even imagine, but, even if not actually true, are plausible and are reflections of what actually DID happen there! Some of Thom’s best writing is in this book. 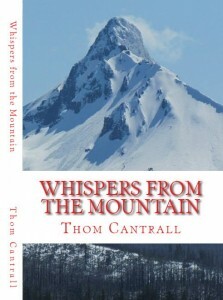 Purchase it and read it over and over again and you will begin to feel the energy that is the Rocky Mountain West. 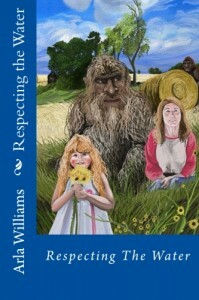 This volume tells the story of an area of Northern California that is infamous in sasquatch history! Beginning with the 1958 Jerry Crew Trackway and the intrigue surrounding that and carrying through the Tom Slick expeditions of the very late 50′s and early 60′s, to 1967 and the appearance of Roger Patterson and Bob Gimlin in the area on a trip that yielded the finest footage yet taken of a sasquatch individual. Even beyond that to a return trip in 2014 by the author and a group he was hosting that provided some of the strangest events ever witnessed and recorded by anyone researching these primal people! From the history, Thom takes you to the experts who will explain to us all exactly why that minute or so of film cannot possibly be faked or hoaxed. Listen as Bill Munns tells the world of the truth, from a scientific viewpoint and why Patty is, in fact a real, live, mortal being! To Purchase a book for delivery in Canada, Click above. To purchase a book for delivery outside of the U.S. or Canada, click above. To Purchase book for delivery inside the U.S. Click Above. To Purchase book for delivery in Canada, click above. To purchase books to be delivered anywhere other than U.S. or Canada, Click above. 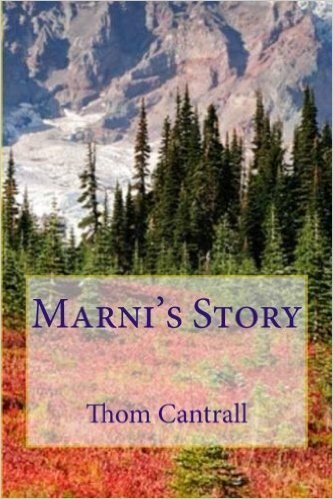 Many years ago now, I had a friend who had a friend named Marni. My friend did her best to get Marni and I together. It never worked, the age difference was just too great and we never even really met face to face, but we talked for hours and hours on media… and one day, as I was leaving, she said, “Thom, write me the story of our first date…” That story is chapter one of this book. From there, it grew and became the story of a strong, independent and forceful woman in control of her destiny who was in love with a man that needed help from time to time. 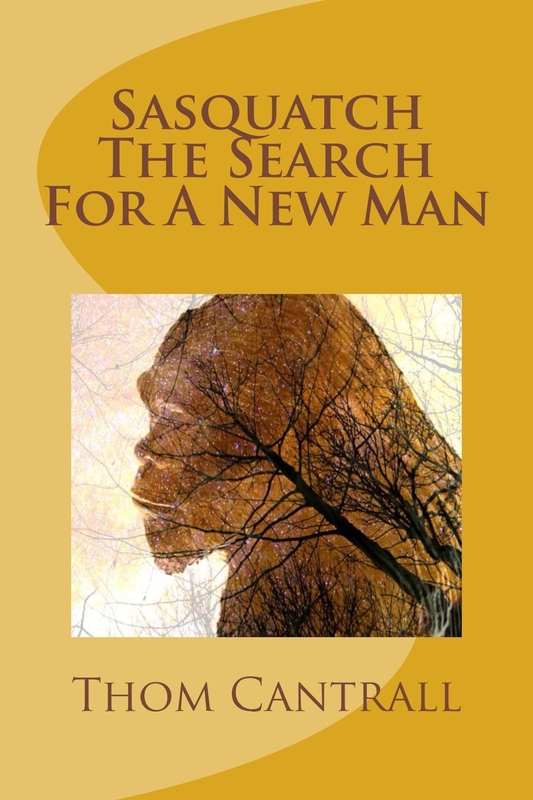 To purchase this book for delivery inside the U.S. Click here. To purchase book for delivery to Canada, Click Above. To purchase book to be delivered anywhere other than U.S. or Canada, Click Above. 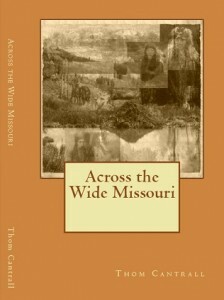 This is a second volume of essays and stories from across a span of years. 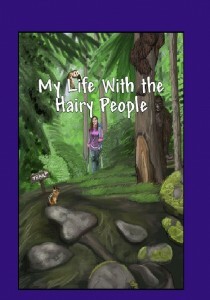 Some deal with the sasquatch people while others talk of my experiences in life. There are essays of a technical nature explaining, for example, how our eyes work… why we see the colors we see. Something different in this volume is an excerpt from my historical novel, “Across the Wide Missouri” which tells how the story begins… Another departure from the norm is a section of my et to be published volume, “After Armageddon” which chronicles the trials of small group of survivors following the impact of an asteroid the size of that which did in the dinosaurs and 90% of all living species about sixty five million years ago. Read and Enjoy this work… it was done with the reader in mind! To purchase book for delivery in the U.S. click above. To purchase book for delivery to anywhere other than U.S. or Canada, click above. WoodsWorks is the printed report on our five year study of the sasquatch written language… i.e. their glyphs. This book is in full color and, hence, is a bit more money, but the data contained is totally unique. 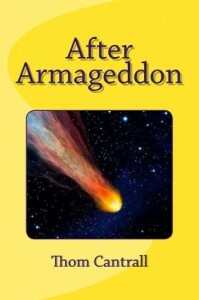 In addition to my own books, I have edited and published several for other people. Among these are some of the best books available on the subject of sasquatch and are featured here. 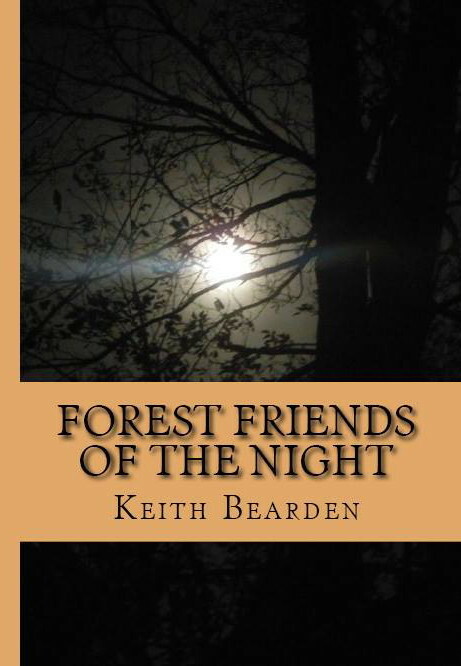 In this volume, Keith explores his life with the sasquatch people. He chronicles his growing knowledge of their existence as seen on a tract of rural hunting land his family leased for many years in Georgia. Follow Keith’s journey of exploration and learning that has led him to where he is today. To purchase book for delivery in U.S. Click above. To purchase book for delivery into Canada, Click above. To purchase book for delivery anywhere except the U.S. or Canada, Click above. 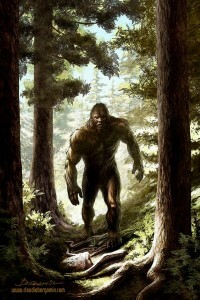 Another first rate account of a journey from not knowing what people were even talking about when they mentioned sasquatch or bigfoot to having her own, face to face, eyeball to eyeball encounters. I consider Kathi’s book to be as good as it gets in this genre. So much is to be learned from her and her journey from darkness to knowledge and understanding. I guarantee you will love this book! To purchase book for delivery anywhere other than U.S. or Canada, Click above. Growing up in Eastern Oklahoma on lands that, while not wild the way we in the mountains thought of wild, were, nonetheless, unique and diverse enough to give a wonderful childhood to an interested, intelligent, probing child. 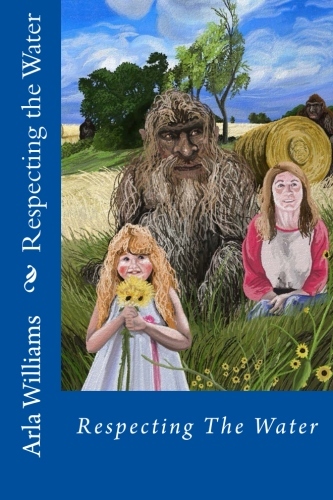 From her first encounter with a sasquatch person at the age of 5 years old until well into adulthood, Arla knew these people and today knows them better than anyone I know! That is why I call her “Mentor” … when I cannot fathom the answer, I know Arla will give me enough to think about to ponder my own way home! Join Arla as she shares the stories of her interactions with these fantastic people as they make life interesting on her home place… from learning to share the harvest to hiding the tent pegs… one never knows what is coming next!!! To purchase book for delivery in U.S., click above. To purchase book to deliver in U.S. click above. To purchase book for delivery anywhere except the U.S. and Canada, Click above. To purchase book for delivery to the U.S., Click above. This is a 11″ X 17″ lithograph of the Artist’s original work. It is numbered and signed by the artist. If Print is for delivery within the U.S. Click ABOVE. If Print is for delivery in Canada, Click ABOVE.